January to September 2018: Volkswagen, Mercedes Benz and Audi remained the top-selling car brands in Germany. The VW Golf was the favorite car model. During the first three quarters of 2018, Volkswagen remained the largest carmaker in Germany and regained market share to again approach a fifth of the total German new car market. Premium brands Mercedes Benz, Audi and BMW had weaker sales while Ford outsold Opel. The VW Golf easily maintained its traditional position as Germany’s favorite car model. New passenger vehicle registrations (PKW) in Germany increased by 2.4% during the first nine months of 2018 to 2,673,418 cars – just over 60,000 more cars than were sold during the first three quarters of 2017. The total new motorized vehicle market (Kraftfahrzeuge) in Germany increased by 2.8% to 3,130,002 vehicles including cars (PKW), motorcycles, buses, and heavy vehicles (LKW). The outlook for the German new car market remains positive despite the chaos of the implementation of new fuel test standards (WLTP) that saw an increase of sales of 25% in August 2018 followed by a slump of 30% in September 2018. BMW seemed more prepared for the change and was the best-selling car brand in Germany in September 2018 despite flat sales. The Volkswagen group seemed totally unprepared for the change with sales down 62% for VW, -78% for Audi, -76% for Porsche, -55% for Seat and -44% for Skoda. Even Opel outsold VW in Germany in September 2018. As the new WLTP rules prevented car registrations rather than manufacturing and sales the situation should normalize during the final quarter of 2018. Despite the disastrous September results, Volkswagen remained the clear leading car brand in Germany during the first three quarters of 2018. Thus far in 2018, VW sales increased by 7% to add more than 30,000 cars to the 2017 figures and 2,000 more than in 2016. Volkswagen regained almost a percentage point market share and is heading back towards a fifth of the total German new car market. Mercedes Benz remained the second largest car manufacturer in Germany but sales were sharply down all year. 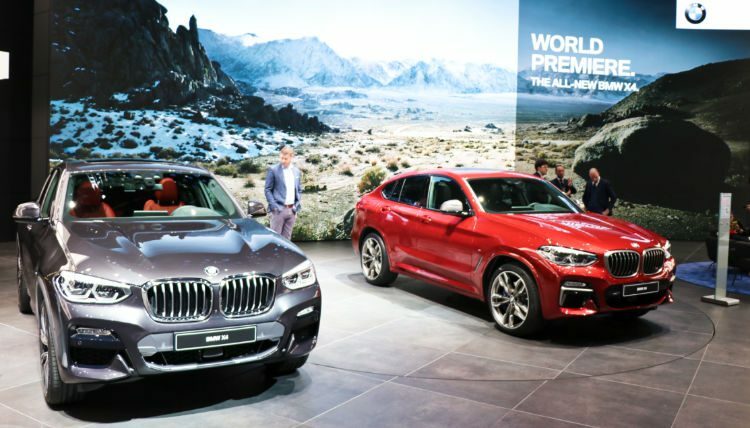 Audi and BMW also had weaker sales in 2018. All three so-called premium brands lost market share to Volkswagen with sales lower than during the first three quarters of the previous two years. Ford regained fifth place from Opel with firmer sales while Opel continued to struggle. Opel’s fortunes are unlikely to change until the launch of new models based on Peugeot cars next year. Skoda and Renault both increased sales in Germany during the first three quarters of 2018 to maintained their relative rank position from a year ago. Seat increased sales by almost a quarter to take ninth place from Hyundai despite the Korean brand increasing sales by 7%. Fiat sales in Germany were down by 6% while Toyota increased sales by 6%. Dacia sales were up by nearly a quarter for the second consecutive year while Peugeot also experienced double-digit growth in car sales in Germany for the second consecutive year. The most-improved brands in Germany during the first three quarters of 2018 were Jeep (34%), DS (25%), Seat (23%), Dacia (23%) and Smart (20%). The worst performing brands in Germany during the first nine months of 2018 were Tesla (-38%), Land Rover (-22%) and Nissan (-20%). The VW Golf of course remained unchallenged as the best-selling car model in Germany but the chaos of the new regulations that left many carmakers unable to register new cars had a clear influence on the top-selling models: in September 2018 not a single Audi model was among the top 50 best-selling car models in Germany while two are among the top ten for year-to-date figures. The second most-popular car model in Germany thus far this year was the VW Tiguan – up from fourth a year ago and at its highest position ever. However, in September, the Tiguan failed to make it onto the top 50 list. SUVs generally did well with the new T-Roc at 24th after less than a year on the market. The VW Passat was again third as the only top 10 car other than the Golf to maintain the same rank position as a year ago. The VW Polo and Audi A4 each moved up one position as last year’s number two – the Mercedes C-Class – slipped to sixth. The Skoda Octavia improved one position to remain the top imported car model in Germany. The Audi A3 improved from 10th a year ago. The Ford Focus improved from 16th a year ago to re-enter the top ten list in Germany for the first time since 2014 and only the second top-ten car not produced by the Volkswagen Group. The VW Touran improved one place as the fifth Volkswagen model in the top-10 list. Two Opel car models dropped out of the top-ten list: the Corsa down to 13th from 9th and the Astra down to 15th from 7th.